The case is made of genuine leather. 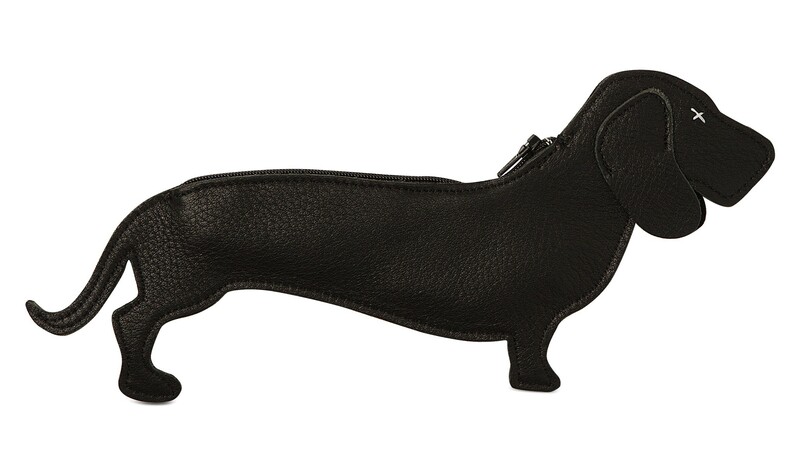 A zipper is attached along the back of the dog. The length of the case is 27 cm, from nose to tail. The case is 12 cm high, from front leg to top of the head. 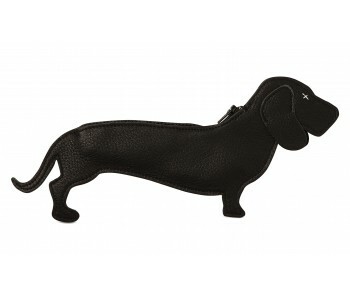 This dog is black, but he is also available in dark brown.